In our melting pot of cultures in America, we lack a food culture. Unlike countries like Italy, Japan and France, few of us have the kind of traditions–passed down through the generations and across communities–of how, what and when to eat. It’s this lack of knowledge, according to investigative food writer and best-selling author, Michael Pollan, that makes us so susceptible to the whims of marketing. Now, I’m not a doctor or investigative journalist, but common sense tells me that if a food has been a staple for millenia, across countless cultures–any attempt to ban it is nonsense. Fad diets may work for some, but it’s only because of the regiment that go along with them, not because of the absence of any one staple food. A healthier and happier eater accomplishes the same goal by eating balanced meals and portions. Another golden nugget I learned from Pollan, is that if a food label screams of a product’s health attributes, it’s probably not healthy. 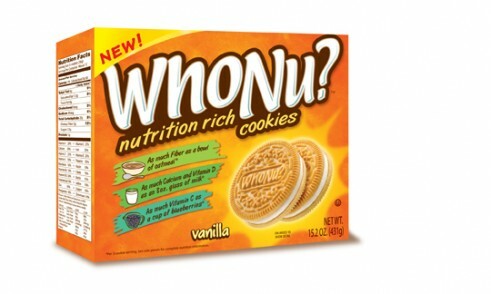 The best example of this kind of marketing is a new cookie that recently appeared on the Jewel shelves: “Whonu?”–cookies with all the fiber and nutrients our children need. It’s quite possible that if I’m going to give my kid a cookie, this one’s better than others, but let’s be honest here–a cookie is a cookie. So here’s the most important food motto I live by, one that Michael Pollan put so succinctly in the opening of In Defense of Food: “Eat food. Not too much. Mostly plants.” (You’ll get the gist from his fabulous 2007 NY Times Magazine article.) What does that come down to? That product with the screaming label that features every chemical and coloring in the factory is the one I pass by. If my great grandmother doesn’t recognize it, it’s not food. Lunch: If I don’t have leftovers from last night’s dinner, I make a sandwich of veggies, hummus and cheese on whole grain bread and eat it with soup or a salad. If I’m really short on time, I make a smoothie. Dinner: At least one item of whole grains and lots of veggie side dishes. First of all- great blog! Second of all- no protein at dinner? Third of all- I like that food motto. Can you cook my meals for me- maybe then I could do this!? !